JoTiKa Ltd. ~ HM Schooner Pickle Construction Page 9. The authentic elm tree pumps. 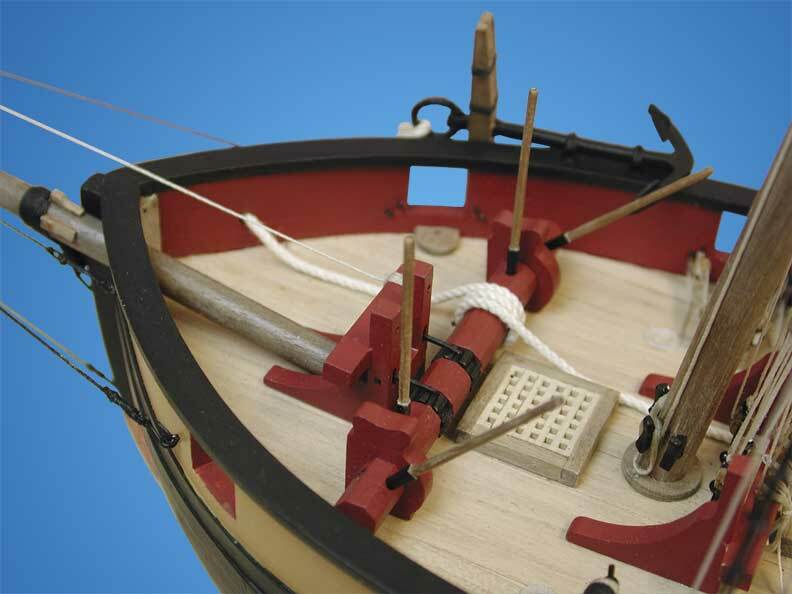 The windlass, bitts and bowsprit assembly as viewed from forward. 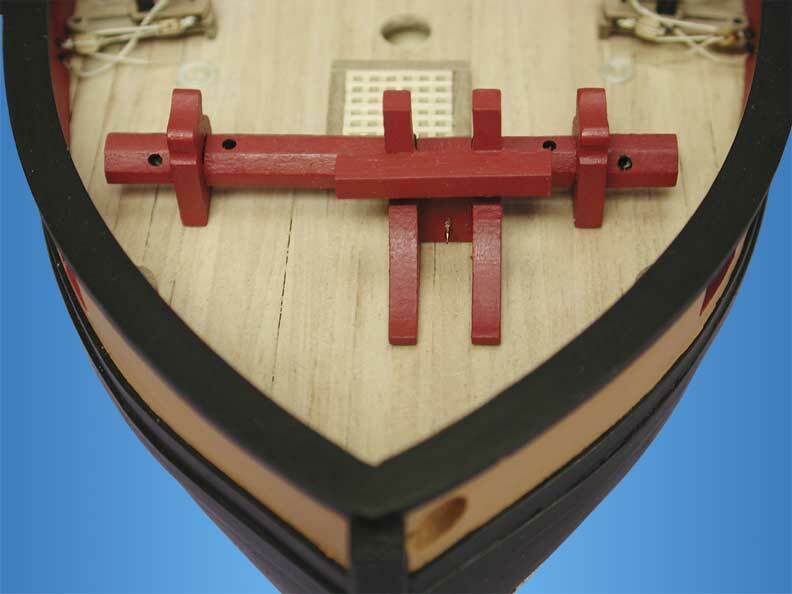 In the top photo the windlass is secured to the deck noting that the iron pawl notches are offset to port. 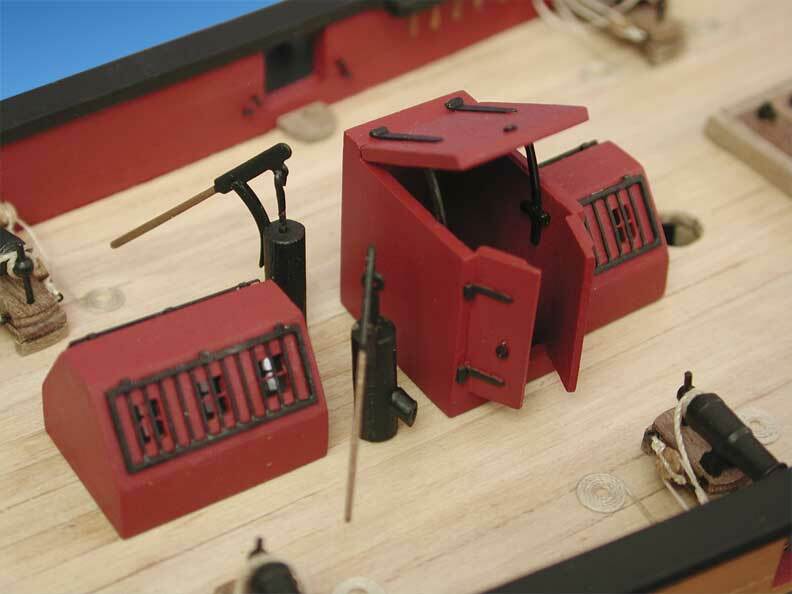 In the middle photo the bitts are secured to the deck. 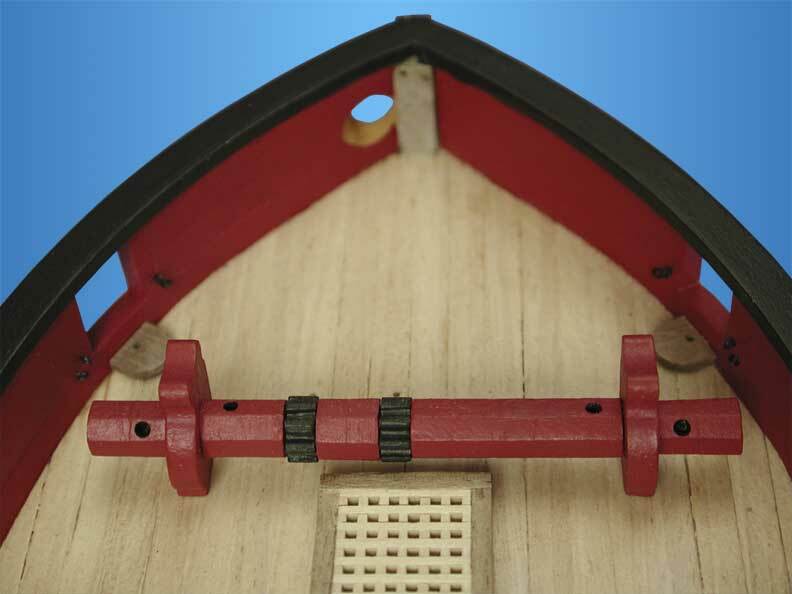 The bitts are offset to port and their iron pawls locate into the pawl notches on the windlass (as can be seen in the next series of photos). 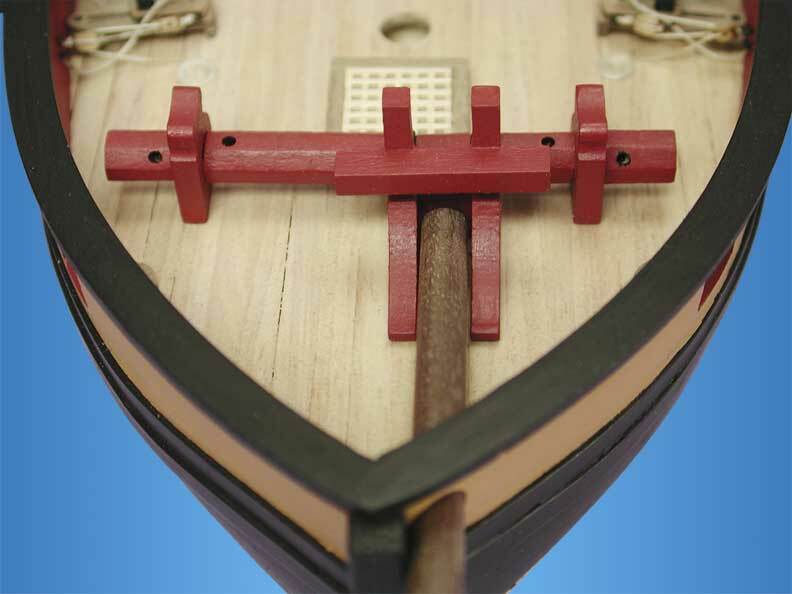 The bottom photo shown the bowsprit inserted through the bulwark opening and secured against the forward face of the bitts. The windlass, bitts and bowsprit assembly as viewed from aft. 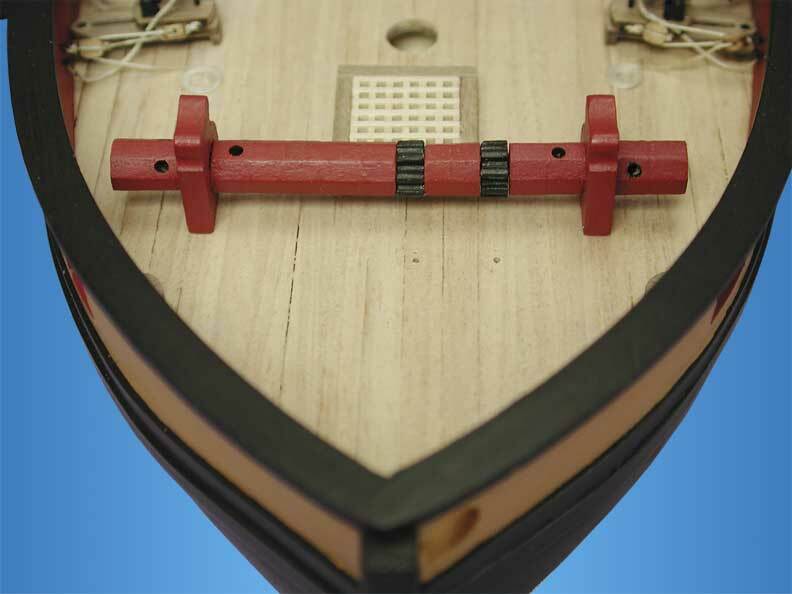 In the middle photo the bitts are secured to the deck. 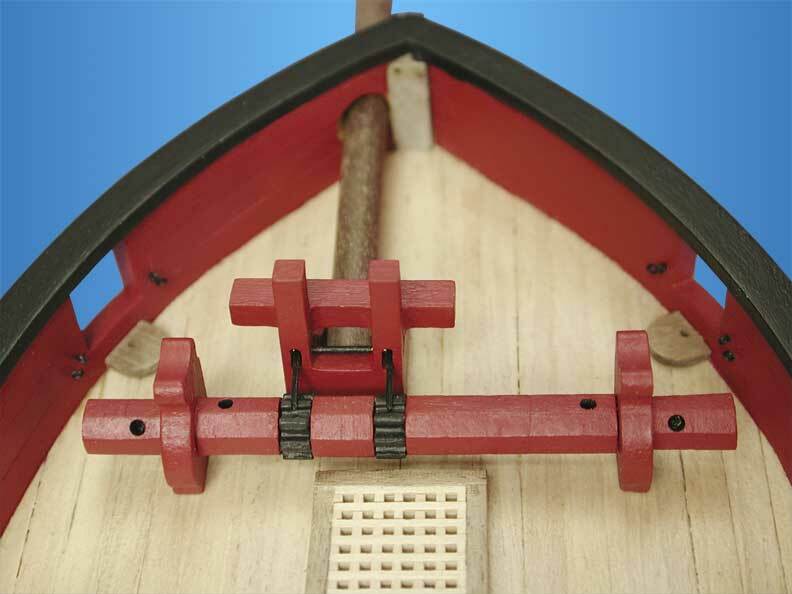 The bitts are offset to port and their iron pawls locate into the pawl notches on the windlass. 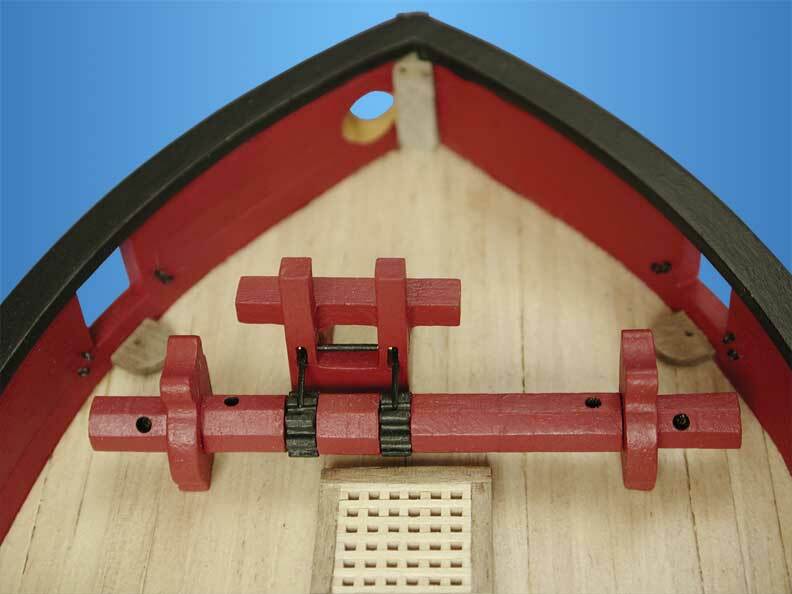 View of the windlass and associated accessories on the completed model.